A choice cut from the current issue of Big Takeover #65, Fantasma by O.G. deathrockers Burning Image is deserving of permanent playlist status. This Bakersfield, California quartet has risen from the crypt with a bleak, thunderous sonic maelstrom almost three decades after their start in 1983. Fantasma is gripping from the beginning – the gruesome grooves of “I Am Alive” crash in with the crunch of Tony Bonnano’s angular, chromatic guitar-driven melodies and Moe Adame’s pointed wails. This is frighteningly good. The real deal. 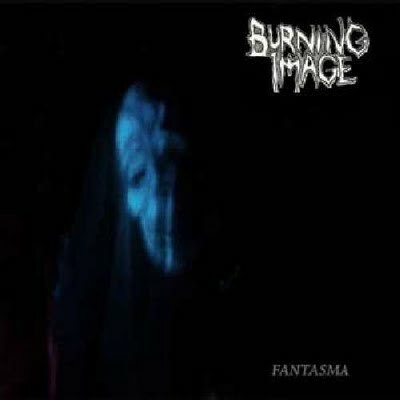 You can hear and feel the difference between Burning Image and the young crop of self-conscious devotees to this sound in the band’s unflinchingly earnest approach to brooding, bleeding intensity. As Jello Biafra quips in the liner notes for 1983-1987 (a compilation of Burning Image’s classic tracks), “They brought their own cobwebs and played their own sound.” Evidently, nothing has changed.